Leon first donned the red suit in 1962 at the age of nineteen for Belk’s Department Store in Fayetteville, NC. After that, he led an exciting and unusual life. He performed as a clown and did advance promotional work for Ringling Bros and Barnum & Bailey Circus and, in 1990, was inducted into the International Clown Hall of Fame. In 2010, Leon retired from clowning, let his white beard grow out, and once again put on the red suit. 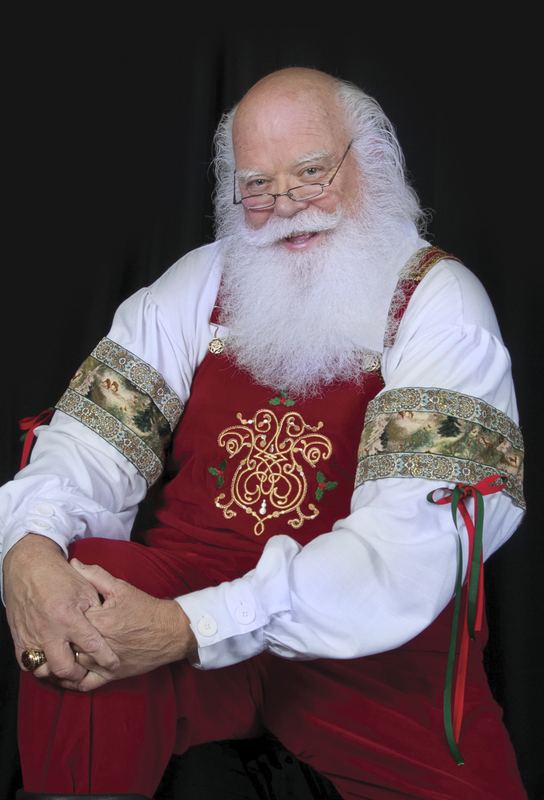 He created a line of Santa products and partnered with Santa Stephen Gillham to develop props and training seminars. Together they are known as “The Brothers Claus”. Leon believes portraying Santa Claus is his calling; and he does Corporate jobs, home visits, and promotions such as the Biltmore in the Miami area and Atlantis in the Bahamas. He and his wife, Linda, raised two sons and have six grandchildren and a great grandchild.